Dr. David Hart, a native of Americus, graduated from Southland Academy with honors in 1982. Upon graduation, he attended Georgia Southwestern College where he earned a Bachelors of Science degree in Biology with a minor degree in Chemistry. Dr. Hart then attended Southern College of Optometry in Memphis, Tennessee from 1986 – 1990 where he received his doctoral degree. There, he was awarded for clinical excellence. Also at the Southern College of Optometry, Dr. Hart was a member of the Beta Kappa Honors Society as well as the Georgia Student Association. He completed internships at a private practice in Jacksonville, Florida and at Omni Eye Center in Atlanta, Georgia, with a concentration on ocular disease. Dr. Hart has been in private practice since 1990. In 1992, Dr. Hart opened his own practice to serve the Americus community. Hart Eye Care was opened in 1996. 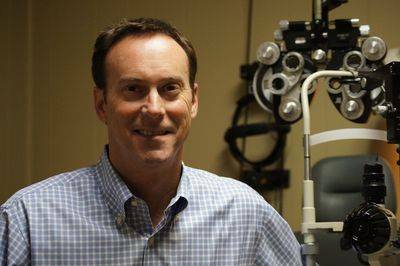 He is currently an active member of the Georgia Optometric Association. Dr. Hart and his wife Christine have a daughter, Haley. Dr. Hart enjoys his time outside of the office by hunting, fishing, and spending time with his family.